The average price for this game since released is $19.71. The game first became 50% off on Nov 23, 2012 at Amazon. Lowest historic price was $3.90 on Jan 2, 2015 at Green Man Gaming. Sick freebie from Origin today. Need for Speed Most Wanted PC Download will cost you $0.00. First time the game has been free. Need for Speed Most Wanted discounted 75% this week at GameStop. Lowest price we've seen since the PC Gaming Winter sales of late 2014 and $15 off the usual $20 MSRP. Need for Speed Most Wanted is on sale for PC download for $6. Give the game a try if you like driving games. This seems like a solid lowest price deal. New lowest ever price we've seen on Need for Speed Most Wanted during GMG's EA title sale. At $6.40, its a heck of a lot cheaper than the previous low of $8. Usually around $15 to $24. I think I saw it on amazon for like 15 bucks. The average price for this game since released is $10.25. The game first became 50% off on Jun 12, 2013 at Green Man Gaming. Lowest historic price was $3.93 on Jan 3, 2014 at Green Man Gaming. The average price for this game since released is $13.73. The game first became 50% off on Jun 12, 2013 at Green Man Gaming. Lowest historic price was $7.87 on Jan 3, 2014 at Green Man Gaming. Sorry Sebastiaan. The instant savings discount on this particular game isn't available in the UK/EU. Hey try GFDOCT20UK - this code might work in the UK/EU sometimes depending on the region the sale qualifies for. Need for Speed Most Wanted on the Wii U dropped down to $15 today at Best Buy - a new low by $3.41. Strangely, buying in brand new condition is the same price as buying Pre-Owned. The average price for this game since released is $46.63. The game first became 50% off on Mar 20, 2013 at Origin. Lowest historic price was $14.99 on Jan 13, 2014 at Best Buy. The average price for this game since released is $40.42. 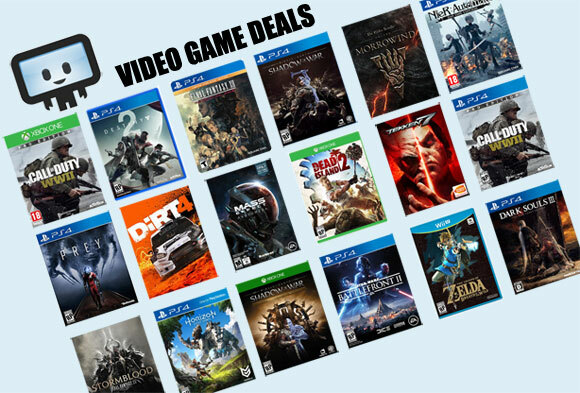 The game first became 50% off on Nov 23, 2012 at Best Buy. Lowest historic price was $9.99 on Nov 28, 2013 at Microsoft. Need For Speed Most Wanted on the PS3 and Xbox 360 only $15 with free shipping this week at Best Buy. Lowest price ever by $13, elsewhere $30+. They're sold out for shipping already but still available for free store pickup. Two great deals on Tuesday's release of Need for Speed Most Wanted on PS3 and Xbox 360. Kmart.com probably offers the best value at $56.99 and a bonus $15 award card (gift card) but Newegg has a $12 coupon code dropping the price to $47.99. Elsewhere $59 and up.